Are you willing to shift from your place? 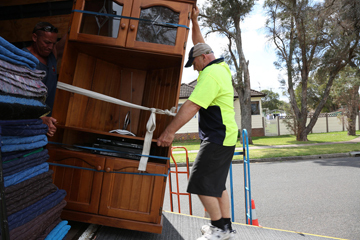 Are you looking for removal services that will make this moving an easy and convenient job? All that you bought to decor your valued property when the question arises on their moving from one place to another then you must not compromise on the quality of services. Only professional experienced and reputed moving and storage companies with an adroit team and crew members can pull off this entire task impeccably. So, all you need is to look for the best movers in the UK. When it is a professional company, you are sure to get quality services. They pack all the goods and items in a proficient manner by using quality packing boxes of proper size according to the goods. Reputed moving and storage companies also use good quality packing materials such as bubble wrap, air balloons, and other thick materials to ensure all the items are in their best condition. These experienced companies also use improved tools and equipment to load, unload and install various moving items. On hiring the best moving and storage company for your house removal work, they will surely give you a great deal. With a complete damage free transit and tidy placement of items, you will also have the benefit to enjoy a holistic damage free transit. As these experienced and renowned companies use improved tools and equipment to move to keep moving and storage of items in a complete damage-free manner. Edinburgh City Removals is one of the top-rated removal companies based out of Edinburgh. They work as a team of experts and possess a fleet of good quality vans to assist their clients with the removal process is a safe and damage-free manner. They are experienced with handling items in various weather conditions and hold good instruments to place all the moving items it is the correct way. Not only they are well equipped in moving and setting up domestic items, but they are also equally well equipped to set up commercial properties properly.